Eliza and her Monsters by Francesca Zappia | READ THIS NOW! This past Tuesday, Eliza and Her Monsters by Francesca Zappia was released into the world, and you all need to get a copy. Now. I was an Eliza beta reader about a year and a half ago, and I finished reading my hardback yesterday. All the praise that I had already given the beta version? Oh, wow. Magnify that by a hundred. This book is fantastic. Here are my 5 reasons for why you need NEED to read it. It's a well known fact that Chessie makes amazing, multi-layered characters, the type to delight fans of all ages (cc: Made You Up). Her characters feel flesh and blood. They make you want to cry and scream, and you get frustrated on their behalf. Chessie's attention to detail makes her characters come alive, with their own little habits and phrases. And with such fantastic characters, you're guaranteed to be engaged in the story, even if you don't always agree with what the characters do. The romantic interest in this book is a hulk, former football player and now fanfiction writer and a selective mute, with a soft voice. The main character is a girl with greasy hair and social anxiety, and she's this super popular creator of a webcomic. Society tends to portray female creators as being Nice, Polite Women - women need to comprise, to smile more often, etc. Here, we have another story to rival that. And many of the side characters also break gender norms. I don't know about you, but I'm very pleased to have a story where the characters aren't in these flat cardboard boxes of what we expect (e.g., alpha male). This also makes the characters feel more real to me. You can look at several of the Goodreads reviews that mention the photos - here, for instance. Or just at look at the EpicReads post of the first two chapters. You can see the inclusion of the Monstrous Sea webcomic pages, and the prose transcription beneath. You can see private messages between the characters - the moderators of the webcomic and Eliza, the romantic interest and Eliza. You can see forum interactions and forum profiles. Most of the YA books out right now don't have this amount of layering within their stories. Horror YA sometimes includes pictures, and other fandom related books might have some stories, some fanfiction--not to this extent, not to this level of metaness. See point below. This book has been compared to Fangirl and Afterworlds and Nimona, because every book needs to be compared to something, so you have an idea of its marketing. It's a fact of life that you build on schemas that people already have of the world. But this book is unlike anything else that you've read. You only get Cath's fanfiction in Fangirl, some of the story from the main character in Afterworlds. Nimona started off as a comic. None of these is quite the same as Eliza and Her Monsters. Here, you get the main character's creation and see how she interacts with her fans, and you see how fanfic writers interact with the creator and the fandom. You also get to hear about a series of books that she loves, too. Chessie has posted this online - the Children of Hypnos story. 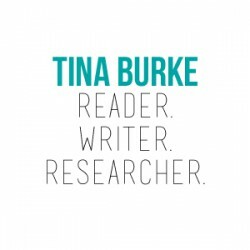 The main character has a drive to create after the fandom that she loves no longer exists. You have access to that story too. There's this amazing level of metaness in this story that ties so well into the themes of creation, fandoms, etc. I repeat: unlike anything else you've read. If you're reading this book, there is a good likelihood that you will relate to SOMETHING in this book. Whether it's the main character's social anxiety, the need to create, the desire to interact with the fandom, or just loving how the fandom interacts-- there is something for everyone. And you know that Chessie has interacted with or been a part of fandoms, because it shows in her writing. It shows in how fandoms a portrayed. 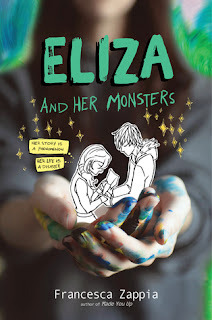 Marieke Nijkamp wrote the blurb, "A love letter to fandom, friendship, and the stories that shape us, Eliza and Her Monsters is absolutely magical." Yes, yes, yes. A love letter to fandom and friendship and stories. Yes. 100% true. PS - This wonderful novel got a starred review from Kirkus, Publisher's Weekly, Booklist, and School Library Journal. PPS - Here is my original pre-review: I read a manuscript of this book about one year ago to date. If you like Made You Up, you will most certainly love Eliza! Chessie brings back her trademark endearing humor in another wonderful mix of adorable romance, quirky characters, and multilayered plotting (plus the cool formatting here, which is typically reserved for YA horror, but hey, Eliza is just that awesome). I would also recommend this book to fans of Fangirl and Afterworlds.